On this day in 1865, Secretary of State William Seward announced that the requisite number of states had approved the Thirteenth Amendment to the United States Constitution, enshrining the abolition of slavery in the highest law of the land. In one of my early Fact Primers, I showed you how to remember the first twelve amendments. 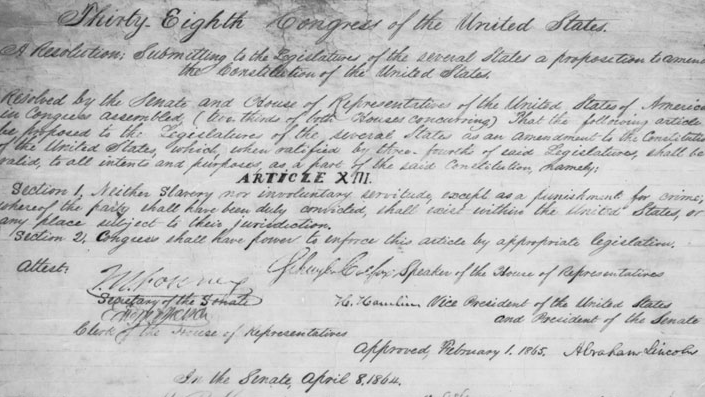 Amendments XIII through XV are known as the “Civil War” or the “Reconstruction” amendments.